Prior to the release of Heavy Rain, I was quite excited about the prospect of character death. I liked the idea that death in games could be re-imagined as more than a minor inconvenience, a temporary punishment. I have written about death in games on several occasions and return again now with Quantic Dream's creation. 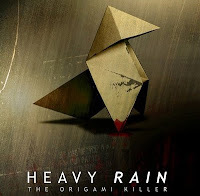 Heavy Rain is interesting not because it is an outlier, there are a few games that kill off lead characters, but because it displays quite clearly some of the serious barriers to the narrative success of in-game mortality. Permanent player-character death in games is incredibly rare. Most of the time when it occurs, it takes place at the end of the game, capping off the entire experience. One occasion where a protagonist's death occurs mid-game, the nuclear explosion scene in Call of Duty: Modern Warfare, still acts as the complete narrative conclusion to that aspect of the story. Sgt. Jackson is fated to die, he becomes a narrative tool to heighten the game's serious tone. 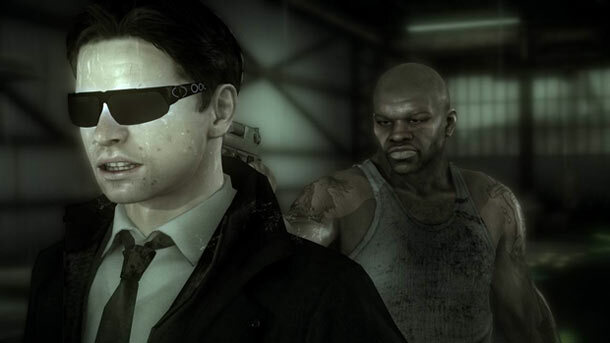 Heavy Rain is exciting because the character's life is in my hands. Whether or not one of the lead character's dies, the story continues. 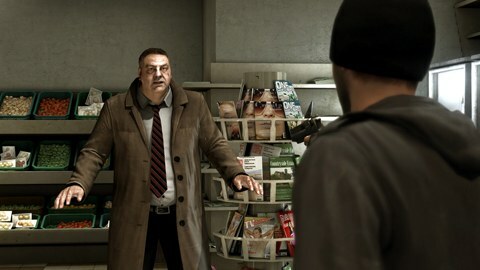 Like Fable 2, which incorporated "death" within the narrative and mechanics of the game, Heavy Rain promised to do the same. In many ways, Quantic Dream successfully created mortal characters whose deaths would not interrupt the story significantly. Yet for many players, the death of lead characters is unsatisfying. 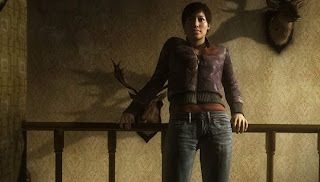 There are four playable cast members in Heavy Rain, of which two can die as a direct result of player failure. Ethan and Shelby can only die at the end of the game, and Ethan's deaths are only indirectly the result of player mistakes. Jayden and Madison can die several ways, most directly connected to the player's decisions or indecision. Their deaths are the least satisfying specifically because of this player involvement. Compelling personal death is hard to pull off because of the unique perception we as players have towards our avatars. As I discussed once before in The Tragedy of Videogame Heroism, "countless videogame heroes and heroines suffer the fate of the playable character. Story elements that players do not actually interact with are largely abandoned. The role of the videogame hero is to enact their agency upon the environment, not immerse themselves within it." When our protagonist dies, this connection to the game world is severed. As avatars in the game world, player failure is punished, frequently by a game-over screen. Fable 2 removes this screen and punishes the player by giving their character a scar. Players still learn from their failures. There is no doubt Madison, in Heavy Rain's case, dies because the player makes a mistake - the red flashing button icon is a testament to that. However, we are to believe an equally valid story continues. What lessons, then, are we supposed to learn? Mechanically speaking, there is no value in death in Heavy Rain. We do not reapply new knowledge to the same experience, we never try the encounter again. Only the basic lesson of "be more careful" can be brought over to the game's future trials. The narrative value is potentially weakened by the strange relationship we have with our protagonists. More often than not, PC death is noble. Death becomes the ultimate sacrifice to achieve success. The player is rewarded for the adventure. Heavy Rain offers only tragic death. Madison is burned up in an apartment, murdered by a psychopath, or falls from a window to her death. Jayden is stabbed to death, or falls into an industrial slicer. None of these deaths are willing sacrifices to achieve a greater good. They are sudden consequences to circumstances not under the character's control. Players are also, not given a chance to mourn their passing. Without an adjustment period, the severing of player agency from avatar can be jarring, enhancing the feeling the experience was unfair or useless. Heavy Rain does not include funeral scenes to dead characters, offering only somber moments at the graveyard to remember those who died. In the scene below, a reporter shrugs off Madison's death like any other. Perhaps her death would have been more powerful if the mourning process has been interactive, putting player agency into the mourning process. Of course, one can argue most people do not like sad or depressing endings, which could explain why someone might dislike the "bad ending" of Heavy Rain. In which case, a happier ending cut scene may calm animosity towards player death. While possible, more interesting to me is the hostility we feel when our PC dies. Even if our anger is quickly followed by a melancholy acceptance of the story, the death of a protagonist is still a uniquely unsettling experience. Successfully conveying the simple and meaningless death of a player-character in a game is tremendously difficult to accomplish. Our protagonists are separated from the world, imbued with our agency, enacting our wishes upon their environment. The undignified death of an avatar is incompatible with their specialized role within a game's universe. For some, Heavy Rain tells such a tale. Of course, one can argue most people do not like sad or depressing endings, which could explain why someone might dislike the "bad ending" of Heavy Rain. This is a barrier we must overcome. There are still powerful stories to be told of real world death, including those ignoble, sudden, and emotionally painful aspects of death. I think you're onto something here. When I finished Heavy Rain, I had... well... a lot of issues with it. Many of those issues were my own. But the thing that bummed me out most was the fact that Madison and Jaiden's deaths weren't narratively worthwhile, they just happened because I got tripped up by one QTE too many. It didn't feel fair, it felt like I was being experimented upon. Someone at GDC (help me out here - was it Sid Meier?) was talking about how there's this fundamental conundrum in game design: if designers help players to win, players feel proud of themselves, but if designers cause players to fail, players absolve themselves and blame the game. I see two ways to overcome this - either game designers can make games with such stringent, fair rules that blame for player death can only be laid at the feet of the player himself (Demon's Souls strikes me as a great, rare example of this), or they can design a game where permanent player death is meaningful from a narrative standpoint. The second strikes me as easier, since it doesn't require as much design work. I'm thinking of the excruciating but at the end of MGS4, [SPOILER] when Snake makes his final crawl to disarm the nukes. Even though he doesn't die, I was all but certain he was going to, and I was okay with it. Riveted, even, hammering on the triangle button to make him crawl... crawl... crawl... as he burned and died before my eyes, while the battle raged outside. Dude, that was an interactive character death I could get behind. In that scene, an entire game and an entire decade of gaming is embodied in a single button. The brutal simplicity of mashing the button mirror's both the thematic and ludic situation: This isn't about stealth, or firepower, or fighting skills; this is about sheer force of will to press on. MGS 4 earned its quicktime events in a way that Heavy Rain never does. MGS 4 contains many dense layers of mechanical and thematic content, but its core ludic and thematic messages both say "succeed, by any means necessary." That overriding mission is distilled to its most basic element in the ending sequence. Heavy Rain has neither the vast heritage of MGS 4 nor the nuance of its gameplay systems. It's hard to make dramatic QTEs meaningful without other gameplay to juxtapose them with or long-standing themes to with which to complement them. Very well-put! My concurment is absolute. I hadn't thought of it that way before, but that's so right on - it's a distillation of the game's theme into a singularly focused, screamingly intense button-mashing session. Awesome. And even taken in a vacuum (I, for example, had only played MGS2, and even then, I'm not sure I finished the game), that scene in MGS4 is far more effective (and affecting) than anything in Heavy Rain. Or, as you point out, in most other games.